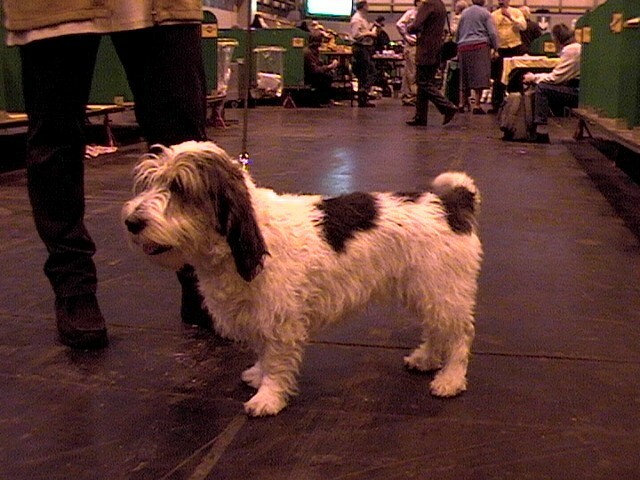 The Petit Basset Griffon Vendeen is a small and sturdy terrier who stands between 12.5 and 15.5 inches from the withers. 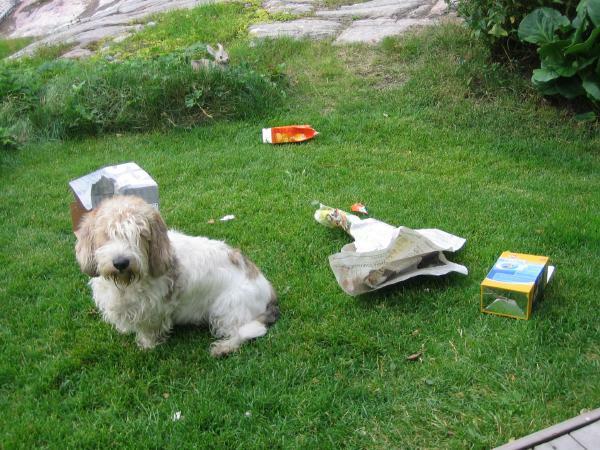 They can weigh from 25 to 45 pounds, with both male and females standing at around the same weight and size. 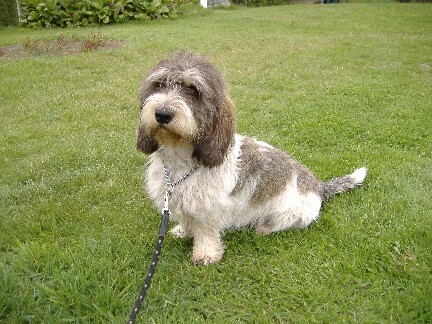 The Petit Basset Griffon Vendeen has a domed skull and a coarse coat on the body, with softer fur around their faces. 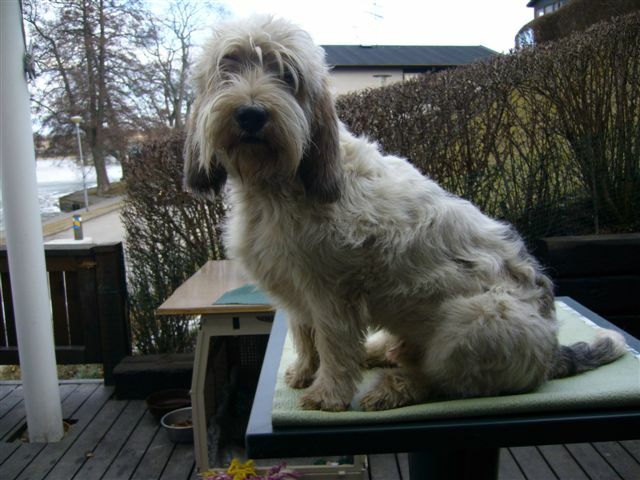 The soft facial fur often resembles a beard or mustache! 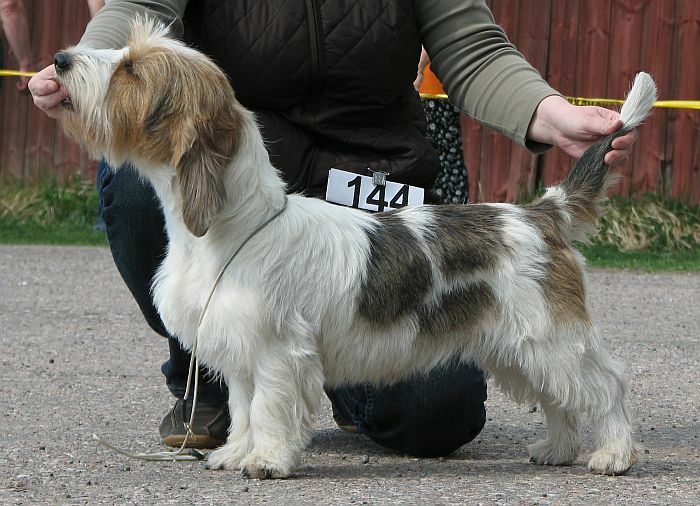 The Petit Basset Griffon Vendeen usually has a white base coat with orange, black, sable, or grizzle markings. 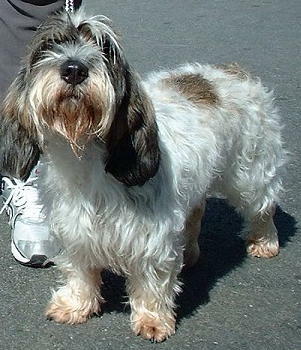 The Petit Basset Griffon Vendeen is also known as the “happy breed” of dog due to their constantly wagging tail and happy-go-lucky personality. 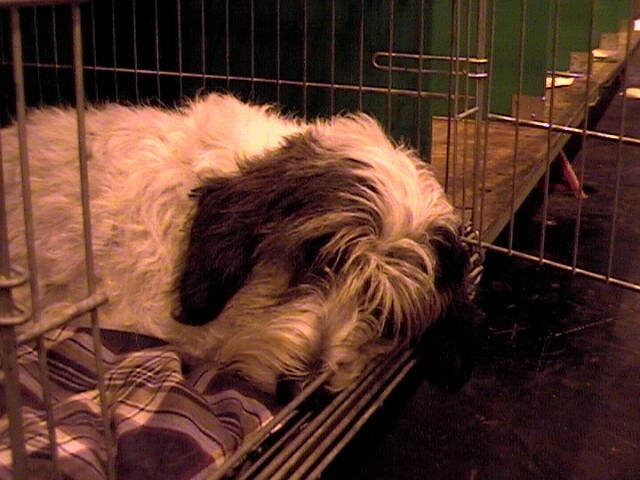 They’re often chosen as therapy dogs due to their gentle nature, although they do need frequent exercise and may bark when bored. 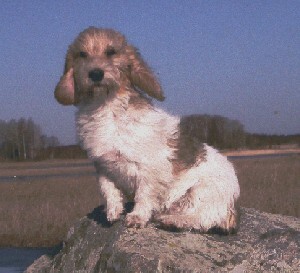 The Petit Basset Griffon Vendeen was bred to hunt hares in the Vendée district of France. 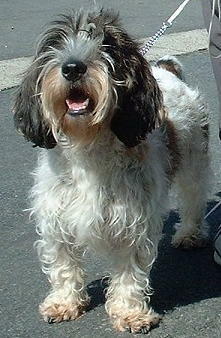 Interested in learning more about Petit Basset Griffon Vendeens?CLICK HERE!